But first, I needed to get my family on board with me, and that mean TESTING the products. The science and effectiveness was proven quickly. Keeping a clean house is difficult with 3 young children, but now even the kids know to reach for the Shaklee Basic H under the sink no matter where and how big the mess. We decided that we needed to try a Shaklee nutrition regimen and the results speak for themselves. The steroid cream my husband used for serious eczema flare-ups was banished from our home and he hasn’t visited the dermatologist since (4 years and counting.) Those once a month cramps that send my husband running? History! Then there’s the cat allergies of one of the kids we discovered after we got 3 cats – those don’t bother our son at all now. Our health benefits are innumerable! I definitely wasn’t looking for a home business! Chuck and I were stressed-out Realtors, working 24/7 in a depressed housing market. Zero sales equal no income!! No money to pay the never-ending pile of bills. I felt helpless, hopeless and fearful for the future. What would happen to us? Combine that with a bazillion health problems that ranged from exhaustion to auto-immune disease and you can see why a home business wasn’t on my radar. 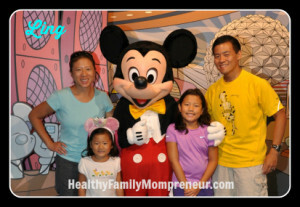 I was in survival mode and all I wanted was to get healthy and be that happy SAHM again! At least I was good at that. When a friend shared Shaklee with me, it was the promise of better health that GOT my attention, but it was HOPE for a better life that compelled me to start up the business. What if I really could get healthy, pay off debt and over time build a dream lifestyle working from home part-time? It was that vision that inspired me to take daily action. Shaklee’s incredible nutrition products quickly restored my health, and oh joy, soon the monthly checks increased from $1000, to $5,000 and then over 5 years to $10,000. Finally I could breathe again and our family was thriving. I found “myself” in Shaklee! Today, I love my life, who I am and what I do. 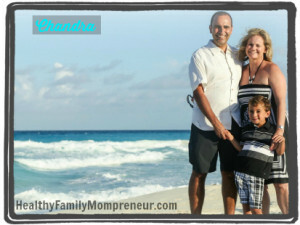 I’m an Entrepreneur, I work at home and I don’t sacrifice family time or my role as a Mom and Grandma. 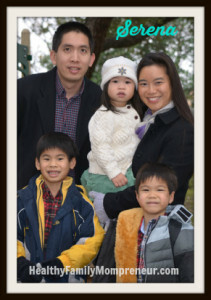 I’m passionate about helping families get healthy and live the life they want. It’s a worthy cause that truly changes lives. 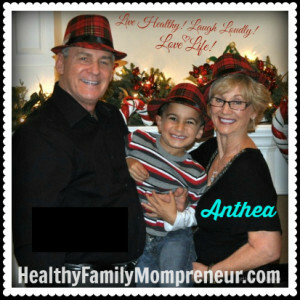 Are you ready to join our team of health conscious mompreneurs having fun, making money and helping others? Then fill out the form – I’ll schedule a time to talk about whether this is a fit for you and our team.